The T16 is simple and easy to operate. Just 3 knobs: CLEAN, DOWN and FILTER. The CLEAN knob sets the level of your dry tone, while the DOWN knob does the same for the added note one octave below. The FILTER knob is very interesting as it allows you to tailor the character of the octave quite a bit – from toothy and hairy to silky smooth and sine-like. Apart from the knobs, you will also find the usual suspects such as footswitch, LED indicator, jack connectors and a 9V power supply input. The sound clips are divided into 3 rounds. First, the FILTER and CLEAN knobs are set to noon and the octave is being brought in gradually. In the second round, the octave is raised a bit compared to the dry tone and then the FILTER knob is tweaked. Finally, the octave is soloed and the FILTER knob is turned gradually to explore the synthy potential of the COG T16. With a pedal this small, there are obviously compromises to be made on features, which might affect the overall versatility. That said, COG still managed to squeeze in 3 knobs which is similar to several, full-size octaver classics from e.g. Boss and MXR. In my view, what really makes the T16 versatile is the FILTER knob, which is flexible, intuitive and has a huge impact on the character and ‘feel’ of the tone – especially when you explore the no-dry-tone, synthy sounds. In fact, the variety in tonal expression is so great that I would actually claim that noodling around with this knob alone is not only ‘flexible and intuitive’, it is also inspiring and could easily trigger new ideas for certain grooves or bass lines as you tweak it and your tone takes some fundamental turns in the process. That is a sign of a great pedal in my book. As you may have noticed in the sound clips, there are a few tracking glitches here and there and particularly in the synth-like examples you can hear how the sound kind of ‘breaks up’ in a crackling way as the notes decay. This is normal and would happen with almost any octave pedal out there. It would be great if this was not the case, but on the other hand, I know and expect this to happen, and I often adjust playing style to cope with exactly that. 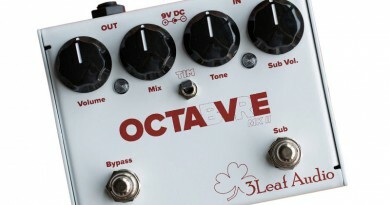 To me it doesn’t affect the overall impression or versatility when it comes to octave pedals in general. 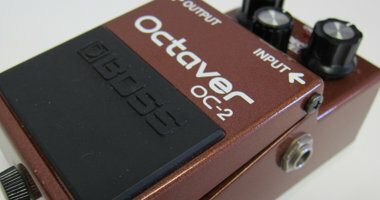 I know some bass players who judge octavers almost entirely by their tracking capabilities, but I have had great use of my old Boss OC-2 for decades even though it is one of the worst in that particular department. The quality seems very good. We are talking about a hand-built pedal, which may cause some variety, but also a manual and very personal level of quality control. I had no issues with this pedal and it felt really good all the way through. The immediate design choice that springs to mind is of course the form factor. This is one tiny pedal that shares the same footprint with, for instance, the Mooer pedals or the mini pedals from TC Electronic (such as the Ditto Looper or PolyTune Mini). As mentioned, the move to a mini pedal platform could easily be the art of balancing the feature set and versatility against the advantages of taking up much less space on the pedal board. I think the balance is very good in this particular case. If there is but one thing to mention regarding design choices, I would have to say that there is an issue with the knobs. No, they are firm and smooth-turning at the same time, and they feel good with the rugged surface. the problem is all about visibility. Looking at the pedal on a semi-dark stage or rehearsal space, those white stripes on the side of the knobs can be quite hard to see when having a top view. That is exactly why I decided to place white dots on the photos in the Soundcloud files in the sound clips sections. Having said that, knobs are easy to replace (if you can find the right size as these sit pretty close due to the form factor), but it would have been great if this pedal was just born with a set of knobs with clear visual markers on the top side. 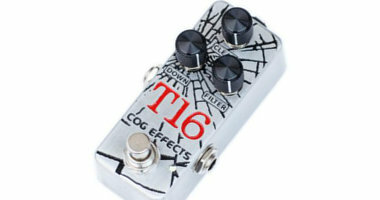 In a game of compromise – features versus available space – I think COG nailed it pretty darn well with the T16. 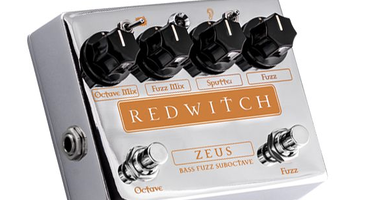 It sounds great, offers lots of tonal variety and takes up almost no space on your board. I like it – a lot! Sorry if this isn’t allowed, but I made a comparison video between the COG T-16, the Boss OC-2 & EHX Nano POG. Sure thing. I love a good pedal demo. Nice one!